At best, Verizon is getting, in AOL and Yahoo, a disconnected assortment of online media properties and a pair of online advertising businesses built around display, rather than search, social, or mobile — the dominant modes of digital advertising today. While Verizon’s distribution reach in mobile may be able to breathe some new life into some of those media assets it has a long, long way to go before it could seriously challenge Facebook and Google, the dominant players it today’s digital media distribution and advertising ecosystem, if that’s really its goal. 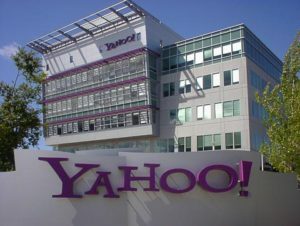 Yahoo and AOL will claim a mere 3.4 percent and 1.8 percent, respectively, of the U.S. digital advertising market this year, according to eMarketer, compared with 15 percent for Facebook and nearly 39 percent for Google. But taking on Facebook and Google may not be Verizon’s real goal in buying up media properties, or at least not it’s only goal. It’s real, long-term targets may be Comcast and AT&T/DirecTV more than the search and social giant. Verizon has lately been conducting field trials of its 5G wireless platform, in which it’s been speeds of 1 gigabit per second and more. This week, it received permission from the Federal Communications Commission to lease high-frequency radio licenses controlled by NextLink, a subsidiary of XO Communications, which Verizon acquired in February for $1.8 billion. NextLink has 93 28GHz licenses and nine 39GHz licenses that reach 67 percent of the US population. Those licenses, known as Local Multipoint Distribution Services licenses, are already configured to allow an operator to offer fixed 5G wireless service within a mile and a half of the transmitter. Verizon has said it plans to launch a fixed 5G pilot program in 2017. With near nationwide coverage, and speeds of a gigabit per second, Verizon’s 5G wireless platform could eventually provide, for the first time, a viable alternative to in-home wireline internet service — a point Verizon CEO Lowell McAdam made at an investor conference just this week. More important, it could do it at a cost far lower than the high cost of laying new fiber-optic cable that led Verizon to abandon the rollout of its FiOS service. Verizon, of course, has long been interested in delivering content to subscribers. In 2014, it acquired the assets of Intel Media, an ambitious but ultimately orphaned project by the chipmaker to create an over-the-top pay-TV system. Verizon used Intel’s technology to launch go90, it’s wireless video service, last year. At one time, Verizon had hoped, like Intel before it, to get access to broadcast and other premium TV content for its OTT service. But it was unwilling to pay the high license fees demanded by premium content owners. So it built go90 around a mix of short-form, original and live programming optimized for mobile consumption — content much like much of what Yahoo and AOL create. With enough of that content, and a nationwide, super-fast 5G wireless network, Verizon might just be able to attract a critical mass of video subscribers that it could bargain with premium content owners from a position of strength, rather than that of a supplicant.